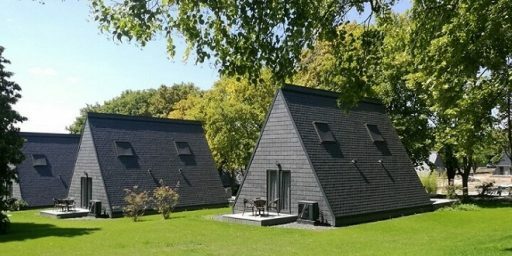 Modular houses are no longer just a concept, but an increasingly common architectural solution. 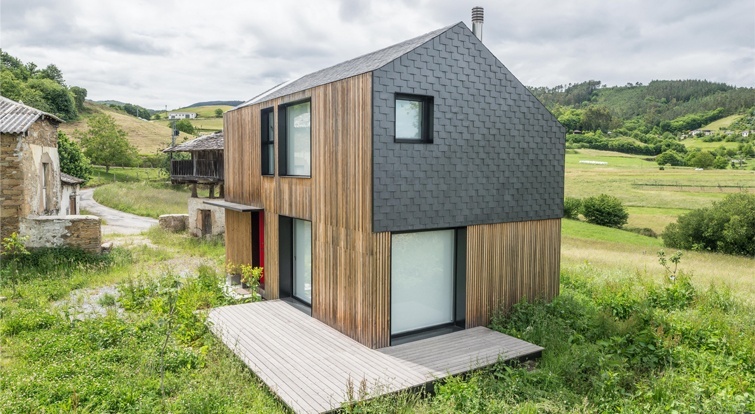 This house in Asturias is the best example of how natural slate and new design trends can combine to create truly unique projects. 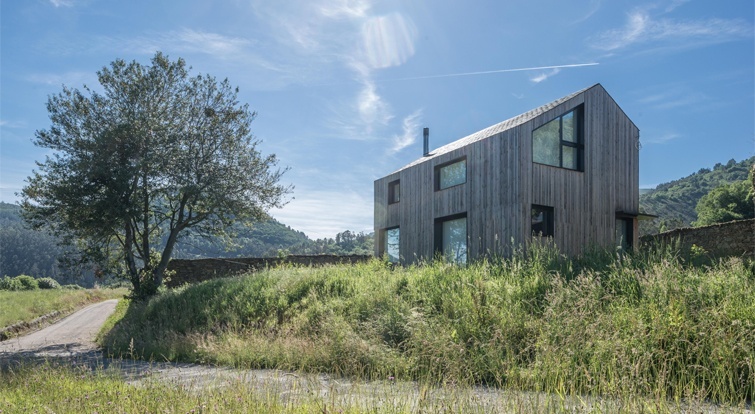 The Montaña House project is located in a rural area of Valdés, closed to Luarca (Asturias). 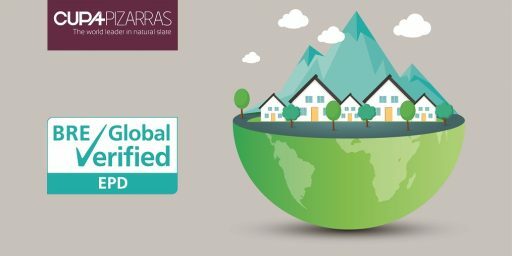 It is part of a new system of houses created by the architecture study Baragaño, in collaboration with ArcelorMittal, known as B Homes. 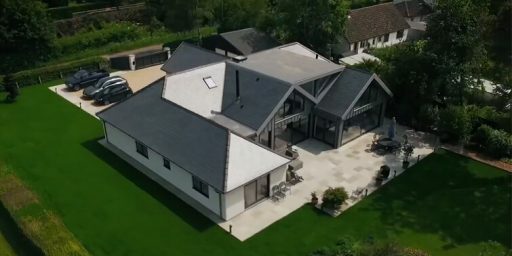 This 100 square metre house was designed as a second residence and completely adjusted to the requirements set by its owners, while also compiling with local urban regulations regarding materials and colours. 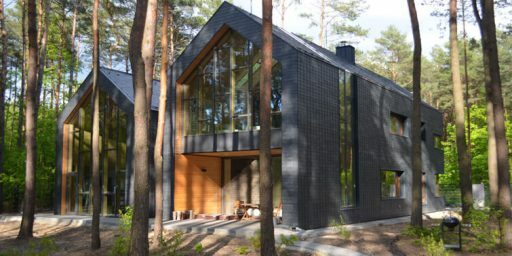 By combining natural materials like slate and wood the architects were able to achieve a perfect integration of their breathtaking design in this rural environment. 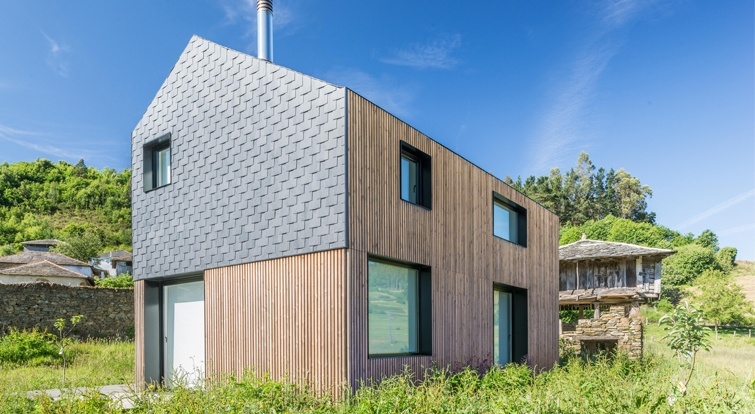 CUPA PIZARRAS natural slate was chosen by Baragaño and used both for roofing and façade. 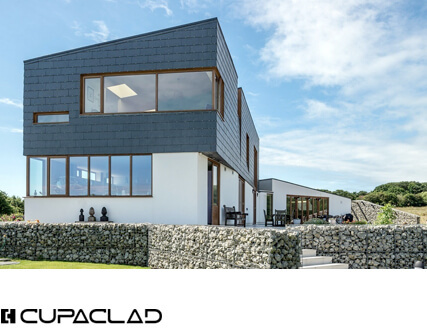 CUPA 10 is a premium black slate with thin laminations and a smooth surface extracted from the quarry of Las Arcas nearby the town of San Pedro de Trones, Leon (Spain). 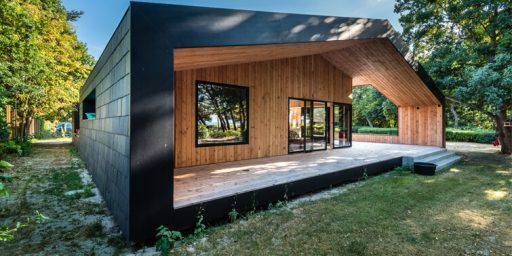 The house consists of several three-dimensional modules pre-built in a factory during a period of no more than 4 months. 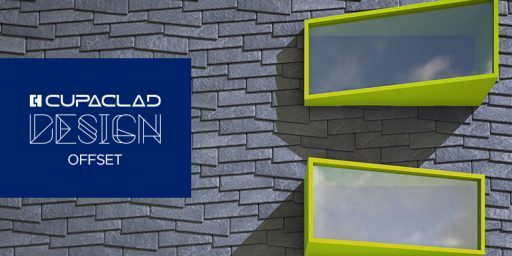 The modular design ensures installation will take no longer than a few days. 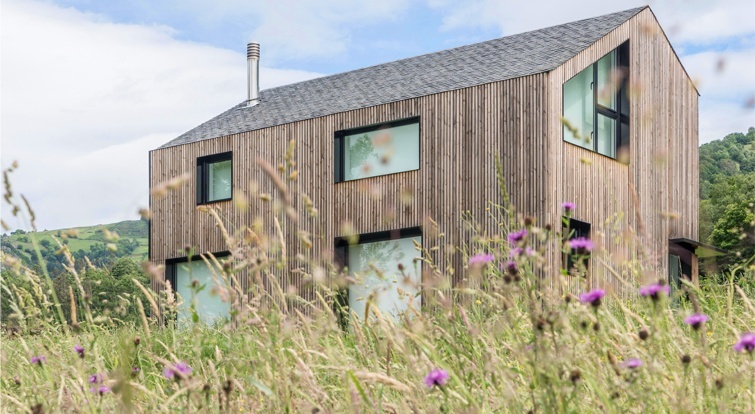 Built completely in Madrid and then transported to its final location 600km away, the house is composed of two different areas. 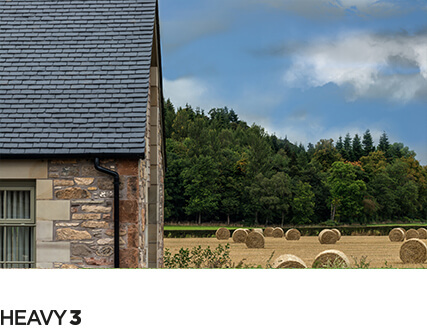 The kitchen, dining and living rooms all form part of a spacious ground floor, with bedrooms located upstairs. The Montaña House meets or surpasses the highest requirements of efficiency and quality thanks to its intelligent design and the extensive use of natural products. 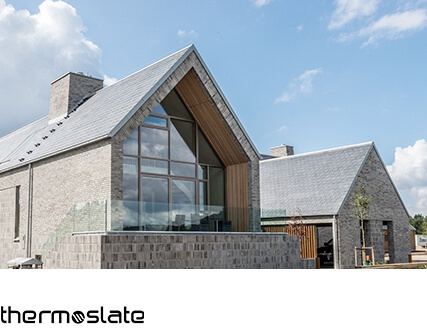 Slate is a 100% natural product that requires no artificial treatments and uses no chemical products during its production. 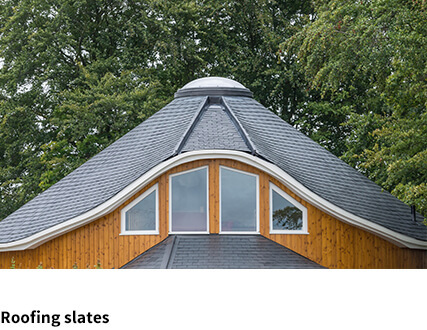 Thanks to this, natural slate has proven to be the roofing product with less environmental impact.